What does it mean if Trump was investigated by the FBI? The New York Times reported on Friday that the FBI is actively investigating from 2017 onwards whether US President Donald Trump was secretly working for Russia. The implications are shocking. The newspaper spoke to several anonymous sources who are involved in or have knowledge of the research. They say that after the dismissal of FBI director James Comey in May 2017, the FBI top was seriously concerned about the behavior of the president. Therefore, it was decided to investigate whether Trump represented Russian interests to the detriment of the US. Possible Russian interference during the US presidential elections in 2016 and possible links between members of the Trump and Moscow campaign team prompted the Russian investigation, the final report of which is expected in the foreseeable future. The Russian investigation began with the FBI as two separate investigations, which were taken over in May 2017 by special prosecutor Robert Mueller. Also, since June 2017, it has been known that Mueller has investigated whether Trump was guilty of impeding the judicial process with the resignation of Comey. What makes the New York Times revelations interesting is the confirmation that not only Trumps employees have been examined because of possible ties with Russia, but also the president himself. In addition, the details of how his trade and walking have been screened may have major consequences for the results of Mueller's Russian research. The FBI started a counterintelligence investigation according to the sources. That was not known before. Such research entails active monitoring of all kinds of communication, which suggests that Trump may have been closely monitored in 2017 and 2018. It is not known whether that research is still ongoing. The complications in the Russian investigation have so far concentrated mainly on the election campaign and the transition period after Trump's profit in 2016. During the election campaign in 2016, questions were already asked within the FBI about ties between the much-discussed Republican presidential candidate and Moscow. When Trump tried to put FBI director Comey into a personal oath of allegiance and asked him to stop the investigation into national safety advisor Michael Flynn after his entry into the White House, the unrest within the federal police force grew. Flynn appeared to have concealed meetings with the Russian ambassador. Due to doubts about how to deal with such a highly sensitive issue, the FBI summit decided to postpone an investigation into Trump itself. It has never been shown before that a sitting president became the subject of a counterintelligence investigation by his own intelligence apparatus. To be able to justify that, strong indications first needed, the conclusion was. The dismissal of Comey put the matter on focus. The FBI received a letter of dismissal that Trump had written to Comey. In the letter, Trump thanked the outgoing FBI director, who had told him three times that the president was not personally the subject of the Russian investigation. That was still being carried out by the FBI at that time. The letter was never put on the post, because Trump advisors thought it gave the impression that Comey was fired because of that investigation. The Deputy Minister of Justice, Rod Rosenstein, wrote a new version stating that Comey had been fired for ruining an investigation into the use of a personal e-mail address for work by Hillary Clinton. The second event was a television interview that Trump gave to NBC News , two days after Comey's resignation. The president gave the impression that the Russian investigation had been the reason for this. FBI officials found that they now had enough to justify a counter-espionage investigation into Trump and to investigate the circumstances surrounding Comey's dismissal. The first investigation, the counter-espionage, had to determine whether the actions of the president posed a possible threat to national security. In addition, it was examined whether Trump worked with the Russians consciously, or was unconsciously strained for the Kremlin's cart. The second investigation was of a criminal nature. The main question was whether Trump had impeded the legal process. Was he trying to influence the Russian investigation by dismissing Comey? A few days after the FBI opened the two investigations, special prosecutor Robert Mueller was appointed to take over the leadership of the Russia investigation. He combined the existing studies. The reasoning behind this was, according to the sources: if Trump did indeed try to obstruct the legal process to conceal the fact that he was looking after Russian interests, it would combine the criminal and counter-espionage aspects of the case. Trumps predecessor, Barack Obama, signed a presidential decree just before his departure from the White House, which gave American intelligence agencies such as the FBI and the CIA direct access to raw, unfiltered intelligence from the National Security Agency (NSA), which specializes in collection and analysis of electronic information from telephone and internet traffic. To ensure the privacy of Americans, these NSA data may only be handed over to other intelligence services for investigations abroad or counterintelligence in their own country. This means that special prosecutor Mueller had access to more research data than was previously assumed. In addition, the counter-espionage aspect also provides access to intelligence gathered by intelligence services of foreign allies. This is particularly interesting because in the international intelligence world: Russia spies on everyone and everyone spies on Russia. Another striking detail: that the FBI almost immediately had access to Trump's letter to Comey (a never-sent draft version of the president), suggests that someone from his immediate circle has been cooperating with the Russia investigation for some time. The president was on Saturday with a long tirade against the FBI, Mueller, the media and the Democrats on Twitter. 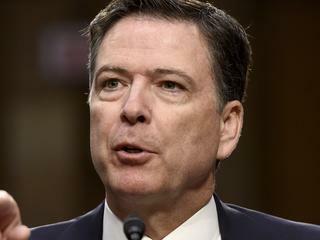 "Wow, just read in the failing New York Times that the corrupt former FBI leaders, almost all of whom have been laid off or are forced to leave because of some very bad business, have begun an investigation into me, without reason and without proof, after I have fired that total snubbery, lying James Comey! " he wrote, among other things. Wow, just learned in the Failing New York Times that the corrupt former leaders of the FBI, almost no need for any bad reasons, after all. I fired Lyin 'James Comey, a total sleaze! Despite the definite denials from the Trump camp, the news about the counter-espionage investigation into the president raises the tensions in Washington in the run-up to the final report of special prosecutor Mueller. When that will be completed is not yet known, but it is expected that this will happen in the coming months. It also offers new leads for the Democrats in the House of Representatives, who have already announced that they also want to investigate the possible ties between Trump and Russia.